The 2018 health insurance open enrollment period has ended. 2018 has arrived, and along with it, a whole new year of germs, and bone breaks, and general sickness. If you’ve considered a healthshare plan to protect you and your family, here’s what you need to know. Healthshares programs are organizations for like-minded people to share the burden of medical expenses. Members pay a monthly fee that is gathered in a collective pot. That money is then used to pay for members’ qualifying medical expenses. As most know, everyone is required to have insurance under the Affordable Care Act. Failure to meet this results in paying a penalty of up to 2.5% of your family’s income. The mandate to carry health insurance has been repealed, but unfortunately, that does not take effect until 2019. On one hand, there are high premiums. On the other, there’s an expensive penalty. This feels like being stuck between a rock and a hard place for many. Healthshares aren’t traditional insurance. 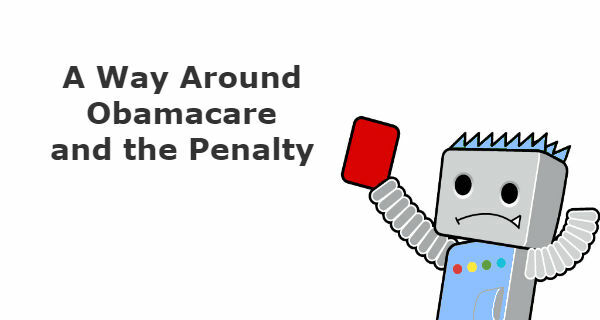 However, members of Health Care Sharing Ministries (HCSMs) are exempt from paying the penalty. This would include anyone who is a member of healthshare programs from Aliera, Altrua, Medi-Share,Sedera, and others. More and more people are forgoing traditional insurance and are switching to healthshares. The biggest appeal is the savings typically seen, sometimes more than half of what they were paying for traditional insurance. Many healthshares don’t cover pre-existing conditions and have a lifetime cap. The ones that do cover pre-existing conditions typically won’t offer full coverage for 2 – 3 years. Healthshares aren’t insurance, and they don’t offer the same coverage. Many also have a religious aspect to them, and may not be suitable to you, depending on your faith. Options are always great to have, in any situation. Traditional insurance isn’t the only option. Healthshares are less expensive and tend to offer more flexibility and freedom than traditional insurance. In fact, healthshare members often have more choices for network providers. To learn more about healthshares, you can download a special report about these programs here.